The Pink Hearts Palys are a beautiful morph with red and pink centers and a contrasting skirt. 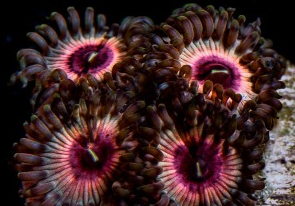 Pink and red are two of the more less common colors we see in corals so if you are a zoa or paly collector then this one might be one of your favorites after it begins to reproduce in the aquarium. HUSBANDRY SIDE NOTES: The Pink Hearts Paly tends to do well in brighter lighting than many other Palythoa species. Leave room for colony to expand and watch it grow into a nice colony. 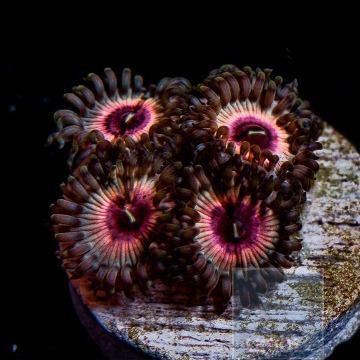 Zoanthids and Palythoa have been extremely popular in the reef hobby for decades. 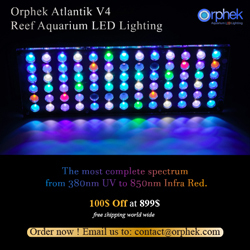 They are fast growing, generally very hardy, and they are available in an array of colors. Coloration is highly variable and new color morphs are discovered frequently. Although tolerances may vary from specimen to specimen, there are some general guidelines for their care. Zoanthids and Palythoa prefer moderate to high light provided by T5, LED, and/or metal halide bulbs. Regardless of what lighting regime you prefer, be sure to carefully acclimate your Zoanthids and Palythoa to your lighting. These corals can lose color if they are illuminated to intensely. Moderate and varied water flow is ideal for Zoanthids and Palythoa. If water movement is too strong, polyps may not fully open, and gradually decline could occur. Zoanthids and Palythoa are generally quite forgiving to water quality variations. Tolerating a wide range of water conditions, some species of Zoa and Paly polyps can actually grow more rapidly with slightly elevated nutrient levels. Zoanthids typically feed on particulate matter, bacteria, plankton, dissolved organics, and possibly larger prey items. 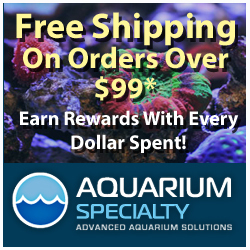 Zoanthids and Palythoa are terrific choices for the reef aquarium. Apart from being beautiful, they are hardy, fast-growing, and they are a favorite among frag swaps and trade shows. keeping parasites and undesirables out of the display aquarium are critical with Zoanthids and Palythoa so make sure you dip new arrivals and for an extra layer of protection, quarantine them prior to placing them in your display tank. One caveat regarding these animals is that they contain the very potent neurotoxin known as Palytoxin as we have described in previous articles. If you handle these animals, wear disposable gloves and always were eye protection. What type of Rock do you Use in Your Aquarium?